Today's my last day in Jersey, and the only one I don't make any plans for. When all else fails, Chinese food is ALWAYS welcome on the agenda. Petite Soo Chow is a Shanghainese restaurant in Cliffside Park. We arrive a little past noon, over 14 hours since my pre-bedtime snack, and I am seriously ready to get my grub on. 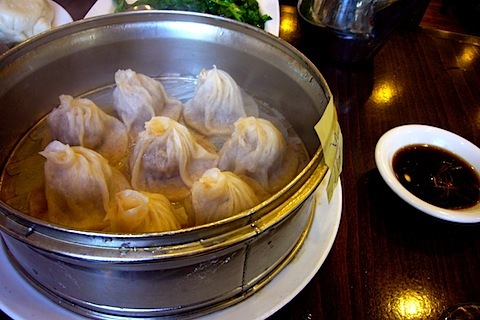 They're known for their soup dumplings. 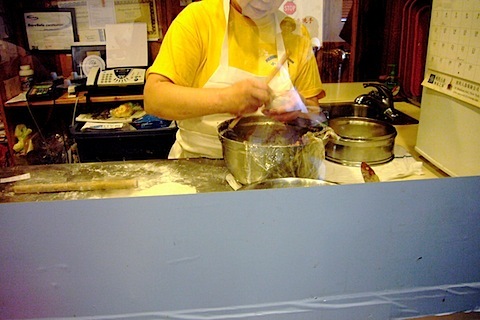 Immediately upon entering, you can see them being made! My parents tell me this place gets crazy on the weekends. I can see why - it's pretty tiny! 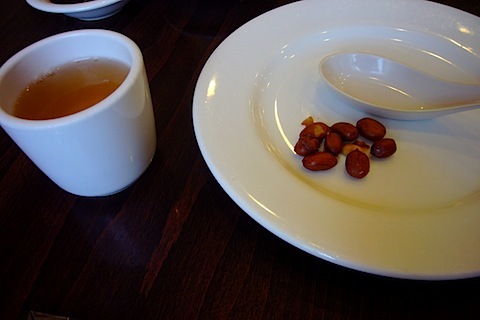 Starting off with complimentary tea and peanuts. 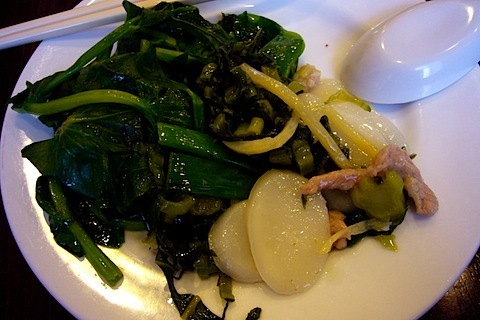 The first to arrive are some Sauteed Snow Pea Leaves, and Shanghai Style Rice Cake (with Preserved Cabbage and Shredded Pork). This is the Beef with Hot Pepper, which my mother specifically asks for it not to be spicy. It comes with four hot n fresh Mantou (dough-y steamed buns). Each Mantou has a little pocket cut into it, perfect for stuffing! I can't wait to try the soup dumplings ("Steamed Bun with Meatball" on the menu) to compare them to the ones at Din Tai Fung. Not as juicy/soup-y as the West Coast version but definitely delicious. I eat about 3 of these. White rice comes with the dishes too, but I don't have any. 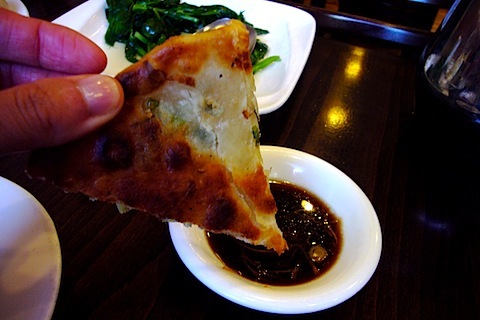 Why waste precious stomach space when there's fresh Scallion Pancakes?!? It gets a dipping in the dumpling ginger/soy/vinegar sauce. If you're in Jersey and looking for a really good, authentic place - this is it. The food is fresh and flavorful, not greasy or expensive. Tell them Mrs. Chen's daughter from Los Angeles sent you!